Canon EOS 5D Mark III was released several weeks ago, it's the new DSLR which Canon fans have waited for years. Canon is proud to present the highly anticipated EOS 5D Mark III. With supercharged EOS performance and stunning full frame, high-resolution image capture, the EOS 5D Mark III is designed to perform. You may have got this amazing 5D3, it's exciting for us to take photos and recorded full HD 1080P videos. The 5D Mark III recorded file format is MOV, this format is supported by many editing software, but it can't be supported perfectly, take FCP X for example. Final Cut Pro X supported best video format is Apple ProRes 422 Codec MOV format, you can edit video with this format in Final Cut Pro X smoothly. And Canon EOS 5D Mark III recorded video is H.264 MOV format, so it's great choice to convert 5D Mark III MOV to ProRes 422 codec MOV format, then you can edit 5D Mark III video well in FCP X on Mac. So Pavtube HD Video Converter for Mac is here to help. You may wonder why this one is recommend here, for many outstanding features are noticed. Almost no quality drop will find in the converted files and for newbie, the preset for Final Cut Pro will save them much time and ease the conversion. How to make Canon 5D Mark III MOV compatible with FCP X? Step 1. Download and install Pavtube HD Video Converter for Mac. It can convert videos between rich video formats, such as convert MOV to ProRes 422 for FCP X, render AVCHD MTS to AIC for iMovie/FCE, etc. Click "File">"Add Video/Audio" to load files into this app. Step 2. Click format column to choose the best output format for editing in FCP X. If you want to edit 5D3 MOV video in FCP X, you are recommended to choose "Final Cut Pro">" Apple ProRes 422 (*.mov)" as target format. 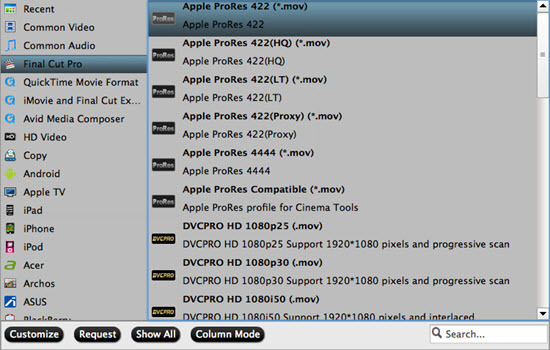 If you don't know the differences among all those Apple ProRes codec, you can refer to this article. Step 3. You can click Settings button to customize the output parameters, such as resolution, bitrate, frame rate and more. Edit function is useful and convenient for you to use. You can trim, split, crop, adjust effects or add watermark or 3D effects to the video. Step 4. 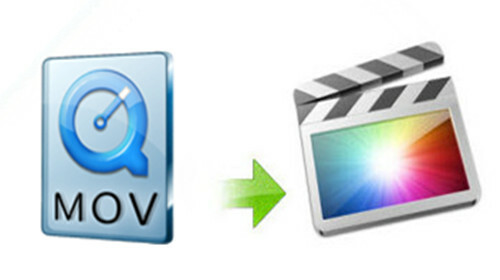 Click convert button to start converting 5D3 MOV to ProRes 422 MOV for Final Cut Pro X on Mac. 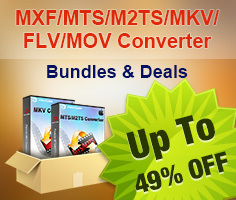 This 5D Mark III to Final Cut Pro X converter can help you convert the video format/codec you need quickly. To learn more conversion solutions for MVI/MOV files recorded by Canon PowerShot and EOS DSLR cameras, or Canon MXF clips captured by XF100, XF105, XF300, XF305, and Canon EOS C300, or AVCHD MTS files shot by VIXIA cameras, you are recommended to visit Pavtube's Canon Column page. For newbie, to master FCP better, here you can go to this how to transfer files into FCP for further learning.